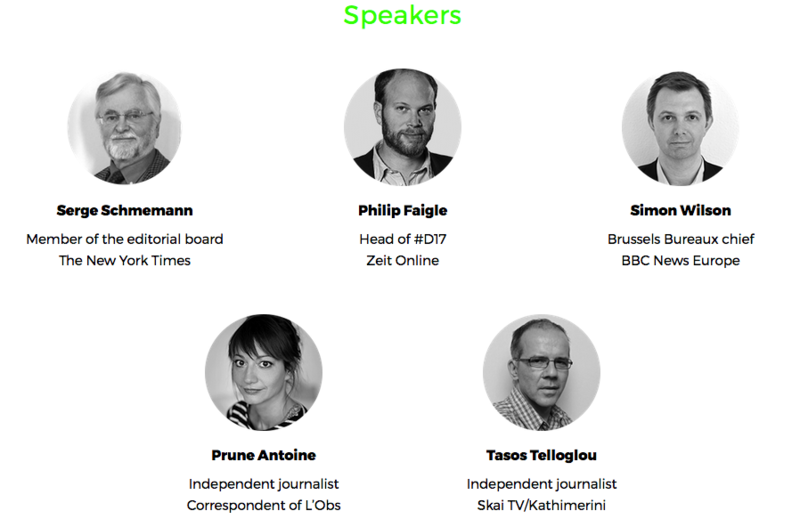 How can journalism regain public faith? 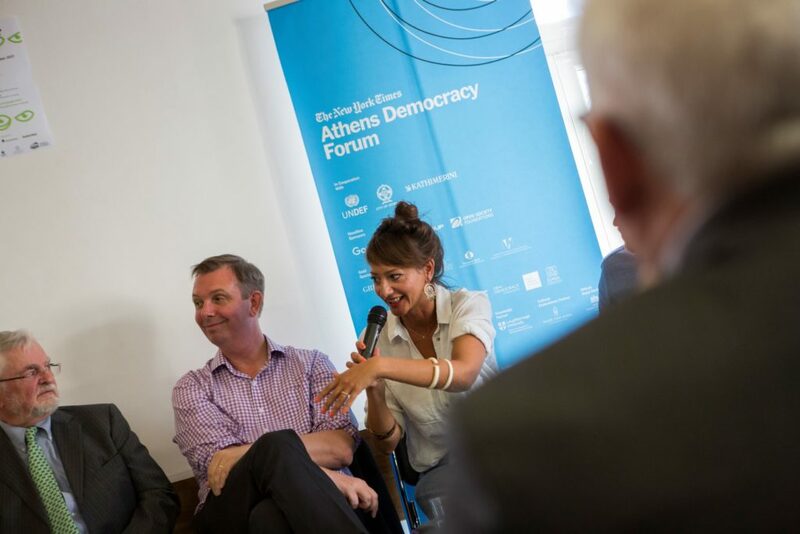 This was the starting point of our affiliate event at the New York Times Athens Democracy Forum this year. A tough question ready to stir up controversial debates. 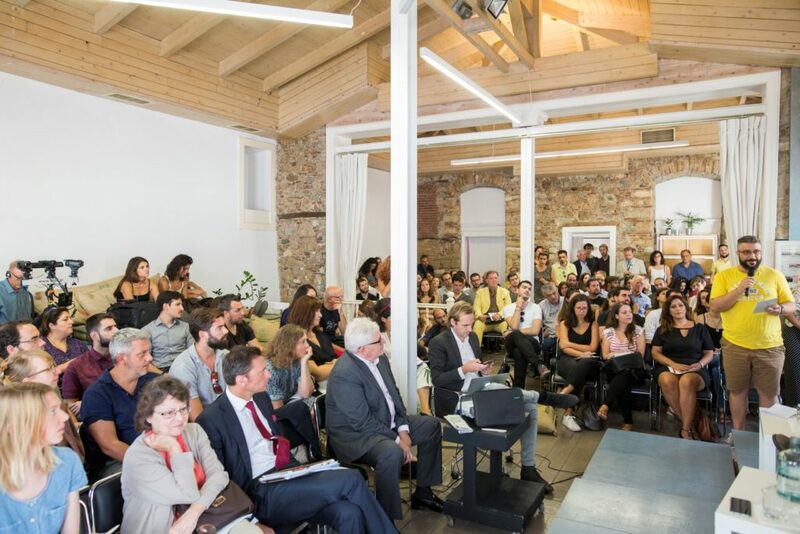 On September 12th, 2017 we returned to Athens to jointly host a panel discussion with our Greek partner Oikomedia. 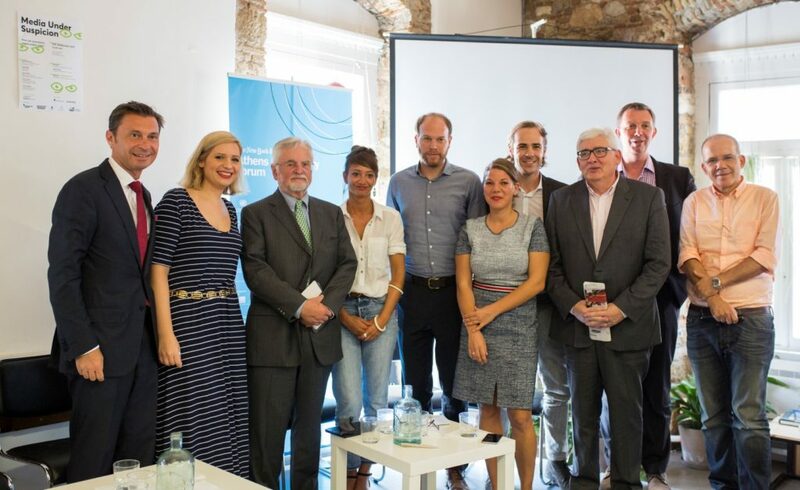 We invited high profile journalists, including a Pulitzer Prize winner and the BBC Europe bureau chief, to open up a discussion about declining faith in the journalistic profession: When you ask four people in Greece, at least three will tell you that media cannot be trusted. Together with South Korea, Greece holds the lowest media trust rates worldwide, the Digital News Reporter by Reuters showed earlier this year. What does it mean for the work of journalists and international media organizations? 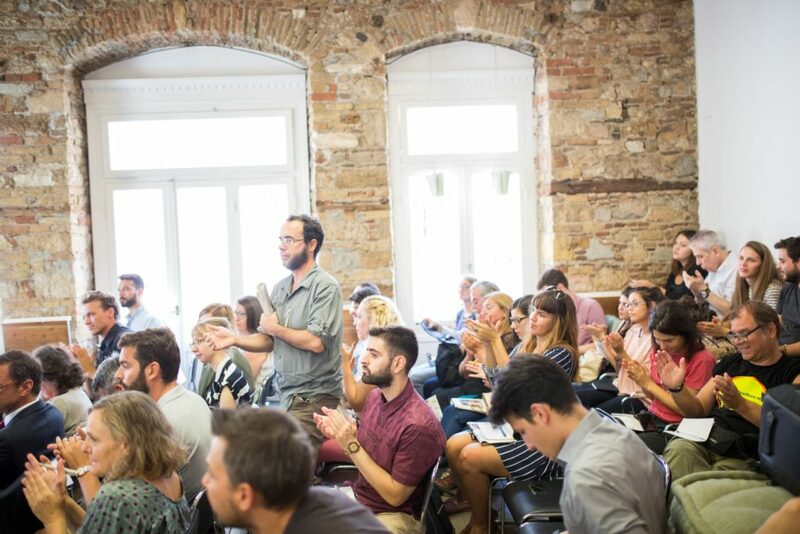 Almost 200 people attended our event at the Impact Hub Athens. Each speaker gave a short lightning talk. The subjects ranged from developing new journalism formats to win back audiences or technical questions about how to fight “fake news” most effectively to the dependency of media towards private funding. In the lively discussion that followed, we opened the floor to allow as many questions from the audience as possible. It soon became clear that the journalistic task to regain public trust has only just begun. To watch the full discussion, please check out the live recording by the Greek foundation Blod. We are very thankful for a great audience that used the opportunity to ask questions. After all, this was our biggest goal: To bridge the gap between our high profile speakers and a diverse, young audience. We wanted to enable discussions that otherwise rarely happen, simply because the worlds of legacy media and the general public are too often separated. You can find more information on our conference website. 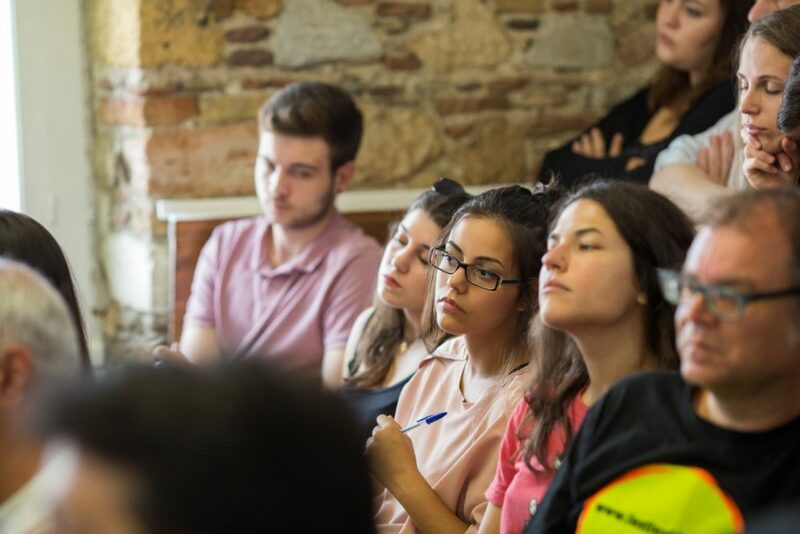 The event was co-organized by Elina Makri, Tabea Grzeszyk and Felix Franz. A big thanks to Julia Hoffmann and Franziska Bauer and the team of Tandem Europe who supported us. 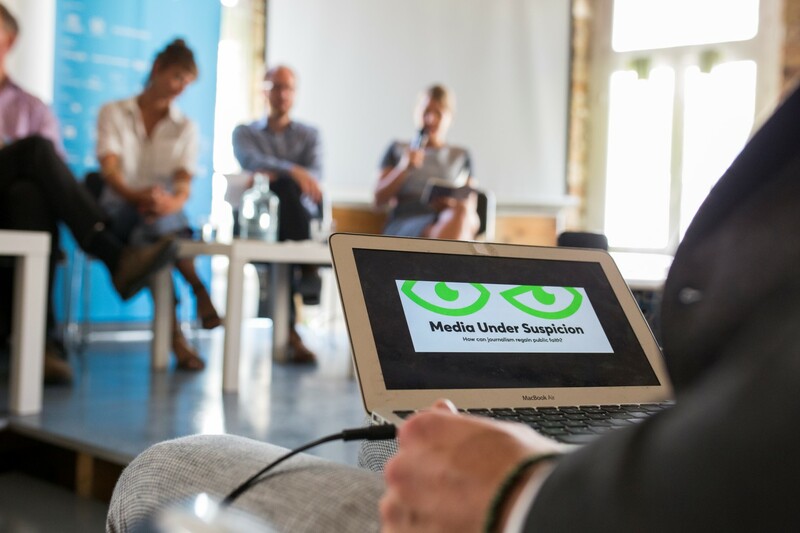 “Media under Suspicion – how can journalism regain public faith?” is part of Advocate Europe, the European idea challenge by MitOst in cooperation with Liquid Democracy, funded by Stiftung Mercator.